I love biscuits. They're so fast to make, and if you're in a mood, you can add things to them. Like herbs or cheese or spices. So when I received a biscuit pan from Lodge along with the new cookbook, Lodge Cast Iron Nation, I knew that I wanted to make biscuits. So I opened the cookbook and Crisp Biscuits was the very first recipe. It was like fate. I figured I could stop right there. 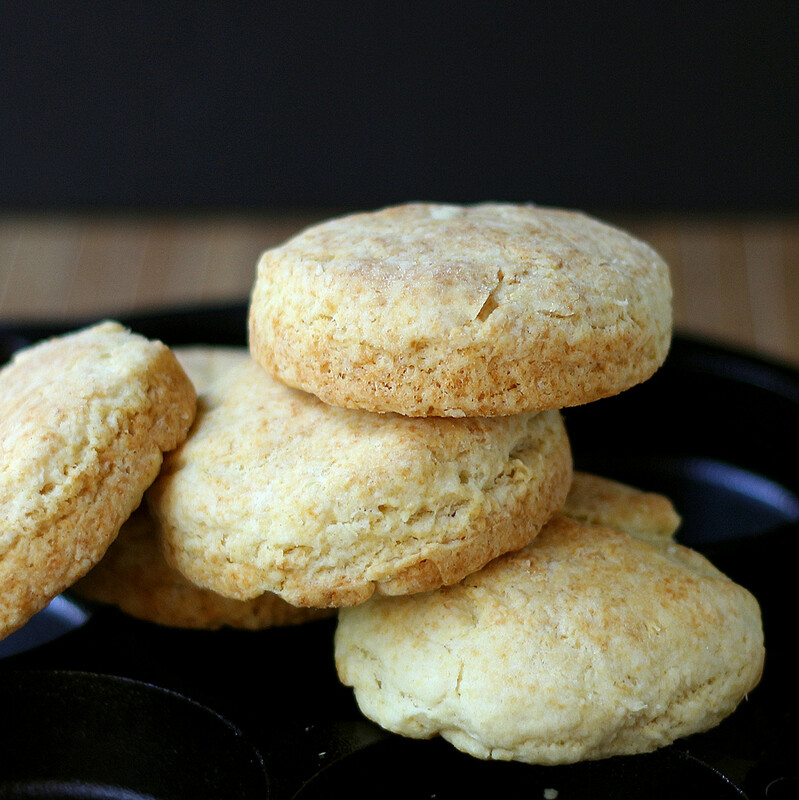 The recipe calls for baking the biscuits in a 14-inch round baking pan, so if you don't have a biscuit pan like the one I used, it's perfectly fine to use something else. Usually I bake biscuits on a cookie sheet, so I was really interesting to see how these would turn out. I really liked the results, and I'm probably going to use this pan for biscuits again and again. The wells are just the right size for 3-inch biscuits - or smaller. It should be interesting baking little cakes in this pan, or yeasted rolls. Meanwhile, these are the biscuits. I usually make mine a little thicker, but that's a personal preference. Also, the recipe says this makes 6 biscuits, but I only managed to get 5. If you need more biscuits, cut them a little smaller, or make a double batch and you can roll them thicker. This is the pan I received. Isn't it neat? It's also described as a mini cake pan. I'll bet I'll find plenty of other uses for it too. This post is part of a promotion with Virtual Potluck, a really fun blog group I belong to. For my participation, I received a cookbook and the biscuit pan. 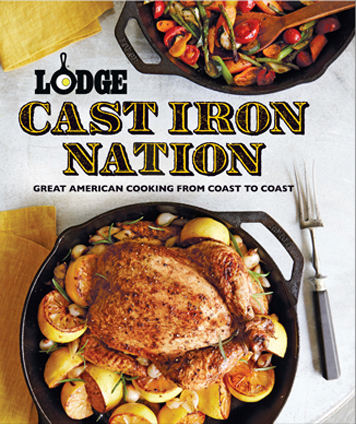 AND Lodge is also supplying a cookbook and a skillet as a giveaway item for each participating blogger. The giveaway info is at the end of this post. Heat the oven to 400 degrees and brush or wipe 6 wells of a Lodge biscuit pan with vegetable oil. Or another pan, if you don't happen to have the biscuit pan. You could bake these in a cast iron skillet, if you like. Combine the flour, baking powder, salt, baking soda, and sugar in a medium bowl. Add the shortening and cut it in with a pastry blender until it's the texture of coarse cornmeal. Another view of the pan. In case you want to buy one! Add the buttermilk all at once and stir until it's moistened. You don't want to mix too much. Flour your work surface and turn out the dough. Roll or pat it to 1/3- to 1/2-inch thick. I rolled mine to 1/3 inch. Use a 3-inch pastry cutter to cut as many circles and you can (I cut three), and place them in the pan. Gather the scraps, pat to the same thickness, and cut again. I managed one more biscuit, for a total of four. Gather any remaining scraps and form one more biscuit. Place the pan in the oven and bake until the tops are lightly browned, 15-20 minutes. Place the pan on a rack and remove the biscuits as soon as you can do so without burning yourself.